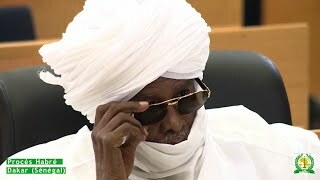 (Dakar, May 17, 2016) – Human Rights Watch today released a new video, Hissène Habré: Scenes from an historic trial, about the trial in Senegal of the former Chadian dictator Hissène Habré. At the end of the trial on February 11, 2016, the court announced that the verdict would be scheduled for May 30. Habré faces charges of crimes against humanity, torture, and war crimes before the Extraordinary African Chambers, which is part of the Senegalese court system. Habré's trial, which began on July 20, 2015, was the first in the world in which the courts of one country prosecuted the former ruler of another for alleged human rights crimes. Witness hearings ended in December after 52 days of trial, and were followed by the parties' summations in February. The new Human Rights Watch video highlights some of the key moments of the trial.